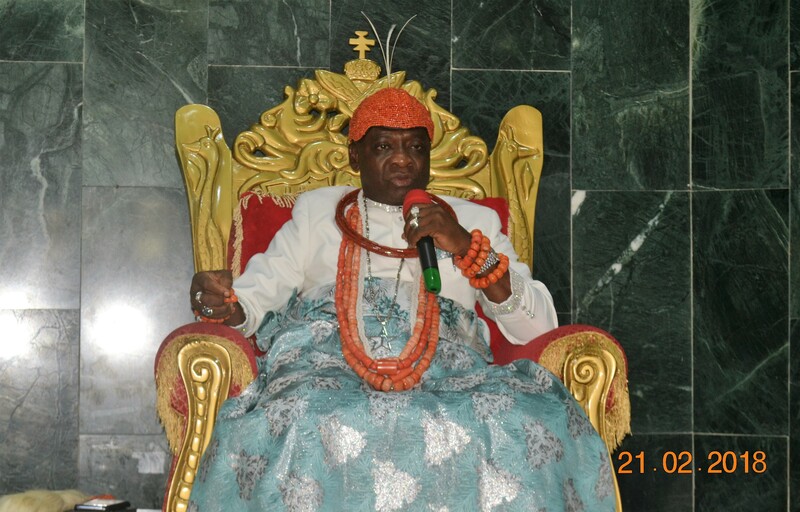 The Olu of Warri, Ogiame Ikenwoli has stressed the need for his subjects to always promote and speak Itsekiri language, even as he enjoined notable Itsekiris who have excelled in their fields to sponsor those willing to study Itsekiri language up to PhD level. 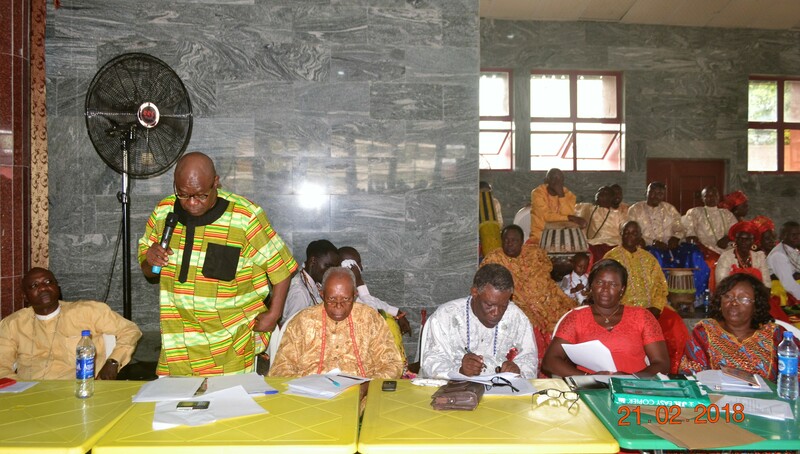 Our Senior Correspondent reports that the revered Warri Monarch gave the charge Wednesday February 21 at the Olu Palace, Warri, during the UNESCO International Mother Tongue Language Day facilitated by Itsekiri Resource Centre. The Olu commended Pa. Mark Eyeyibo for his dogged promotion of Itsekiri Language and assured him that his efforts will be adequately rewarded in due course. A University Don, Prof. Tony Afejuku who spoke on the theme: “The Survival of Itsekiri Language”, described English as exile language and posited that Itsekiri is the only language that does not have dialect. The University of Benin Don who is a Professor of English and Literature, admonished Itsekiri parents to always speak Itsekiri language to their children as well as wards so as to save it from extinction. Secretary of Itsekiri Resource Centre, IRC, Mr. Jemine Amorighoye while reading out the communique reached at the end of the event, disclosed push for the establishment of a Warri University to be named after the Olu of Warri, Ogiame Ikenwoli. According to Amorighoye, when established the proposed university will help in the teaching and learning of Itsekiri Language. The communique also stressed the need for the establishment of Itsekiri publishing house for the publishing of Itsekiri books as well as other related texts. In his remark, the Traditional Prime Minister of Warri Kingdom, Chief Ayirimi Emami revealed that IRC was organized by him and other Chiefs, including some notable Itsekiris, to save Itsekiri language from extinction. 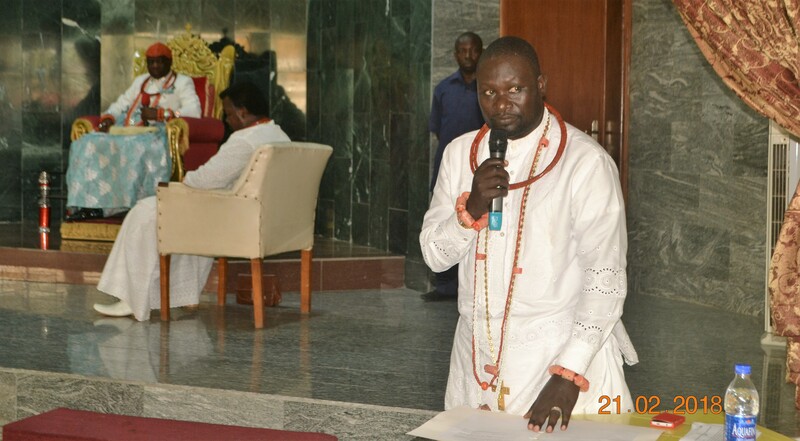 While assuring that he will continue to do his best towards the promotion of Itsekiri Nation, Chief Emami praised the Olu of Warri for his determination geared towards growth of Itsekiri Language. Fresh Angle International can report that another University Don and vocal Itsekiri activist, Dr. Jackson Ireyefoju, Barr. Egert Omoneukarin and Mrs. Gbubemi Ikolo were among other distinguished personalities that spoke on the need to promote communication in Itsekiri Language.